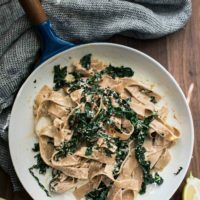 Kale Pasta with Sunflower Cream Sauce | Naturally. My kitchen would not be complete without a stash of nut/seed cream (so much so, in fact, I made a video for the pantry reset series.) It’s a lovely addition to soups, porridge, dressings, or sauces. 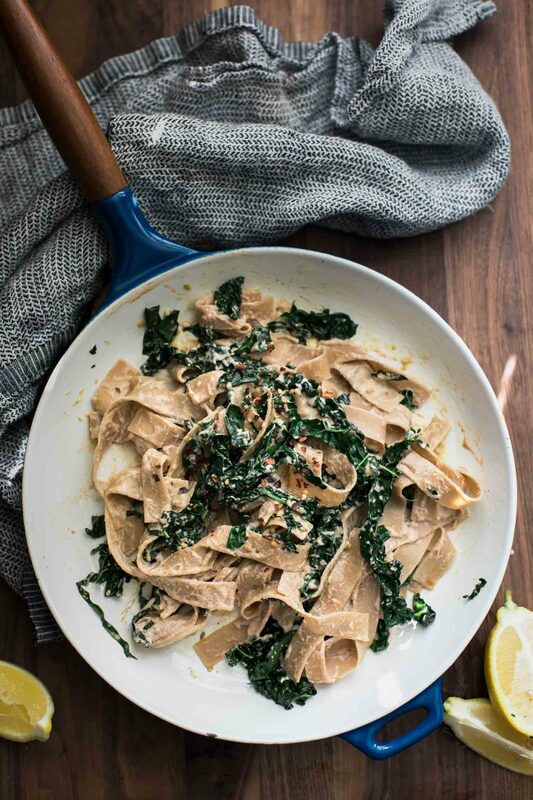 This kale pasta is the perfect way to use the sunflower cream. The pasta comes together fast and also features garlicky kale (that can be made ahead of time.) Use your favorite pasta and you have an easy weeknight dinner. The three components can easily be adapted for whatever you have on hand. Change up the sauce, swap out the greens, or change up the pasta. It’s all up to you and what’s fresh! Cashews/Almonds: Swap the sunflower cream for cashews cream or almond cream. Greens: Swap the kale for chard, collards or spinach. You can also do a mix of greens- us whatever you have! Pasta: This is great with grains or alternative pasta. Hi Erin! 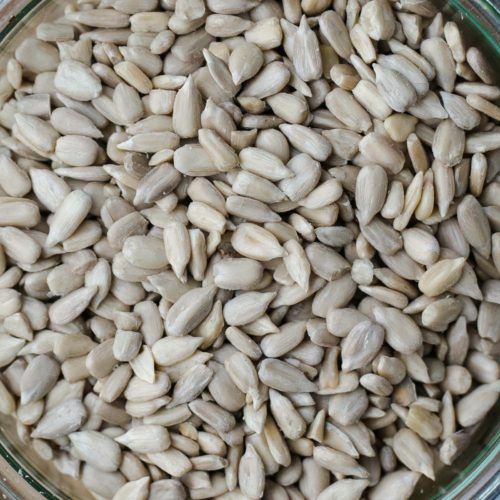 I was planning on making this for dinner tonight but realized I accidentally bought roasted sunflower seeds instead of raw. Can I still soak them for the sauce or is it necessary they are raw? It’s not necessary- I find the raw puree a bit smoother but I’ve definitely used roasted before! I made this! Although, I already had cashew sauce prepared so used that instead; nevertheless, the creaminess of the sauce mixed with the garlicky kale and hearty pasta proved a delicious flavor combination! And so so easy to make! Thanks!